Living in the Southern Highlands of Australia means it’ll probably come as no surprise that I favour a design aesthetic that is accented with country touches, however having deep family roots in rural New England NSW has meant I have always been exposed to and influenced by that style of living. 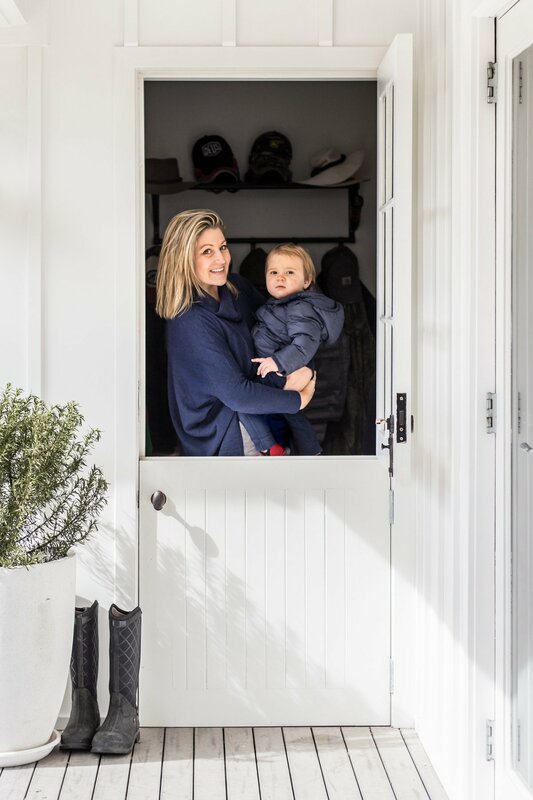 Gumboots and RM Williams lined up at the front door; timber weatherboard exteriors with deep verandas and tin roofing, the smell of freshly baked cakes and ashy smoke from the fireplace in the cooler months. It’s a comforting, familiar feeling and one which I always try to inject into every interior design project I work on. To me the “Modern Farmhouse” is where all this collides perfectly. 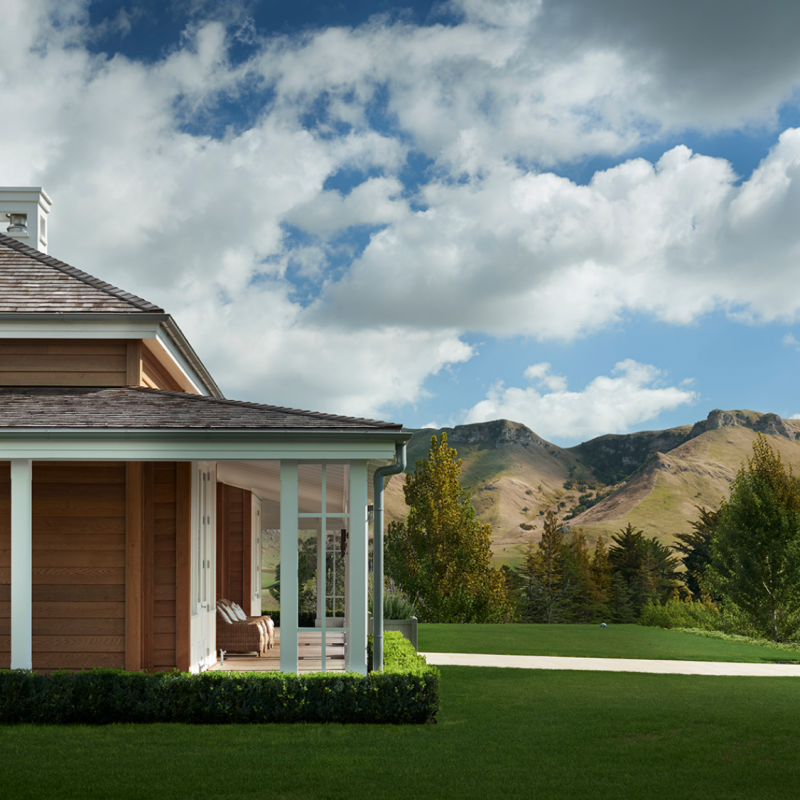 The combination of the classic “American barn”, with modern sensibilities and style. In layman’s architectural terms, it’s the city-girl-that-moved-to-the-country!! Although I love a typical weatherboard house any day of the week, I’m particularly drawn to (okay slightly obsessed with!) ‘board and batten’ siding, which architecturally is characterised by large sheets of exterior plywood with timber battens running vertically and interspersed equally. Board and batten is very common in America and New Zealand but less so here in Australia. I’ve had an obsession with it for over 10 years and I love it more now than ever! 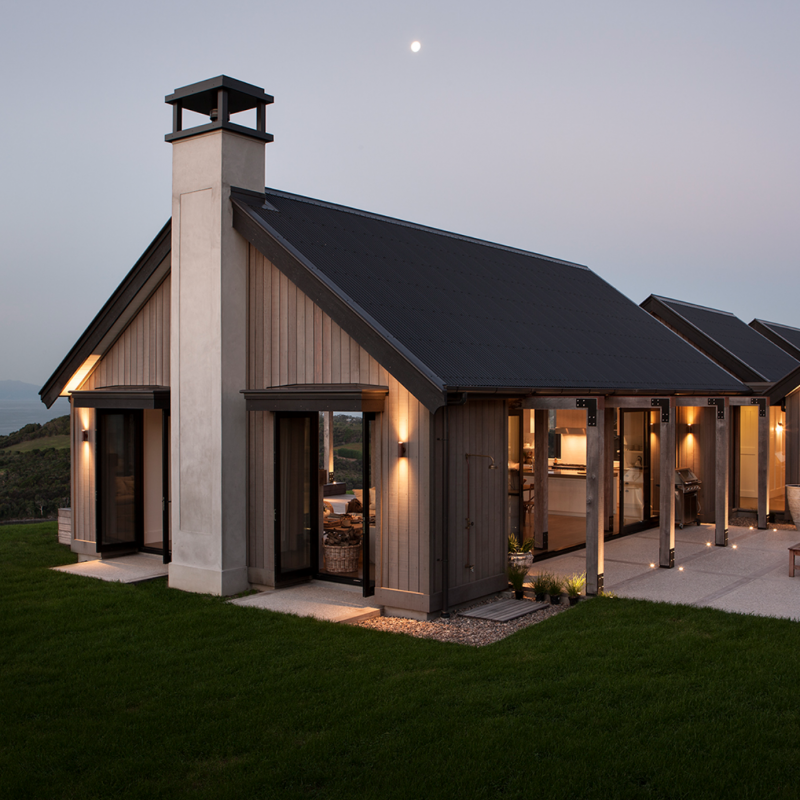 This is what we based the renovation of our current home around – modern farmhouse style using board and batten exterior siding with a grey metal roof. A sneak peek at our house below! Our siding is being painted white and our roof is a mid to light grey colour. We’ve also installed black up/down exterior lights which add a real architectural element, especially at night. I also love board and batten internally too – it adds genuine character to otherwise plain walls. The ideal modern farmhouse should be filled with texture and a mix of natural materials, but by far and away my favourite design element is planked or shiplap walls. To me you can never have enough wall planking! Vertically or horizontally – it doesn’t matter. Think of it as a modern update on traditional wainscotting and tongue and groove lining. What I love the most about modern farmhouse style is it’s relaxed and unpretentious yet still tailored and timeless. I always want people to feel as if they can walk through the door and slump on the sofa, never being afraid of fabric or furniture. Hence my love of everything slipcovered! Our house is currently being painted, even though we finished the siding just before Christmas, so I promise to share the before and afters of the house really soon! We are on the home stretch after a few months break from having builders around 24/7…. really challenging when you live-in while renovating, especially so with a 2 year old! Stay tuned!